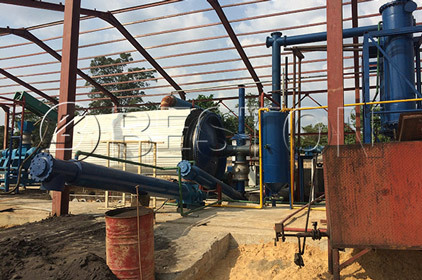 You need to find a professional waste plastic to fuel oil plant manufacturer if you are looking for the machine that converts plastic waste to fuel oil. 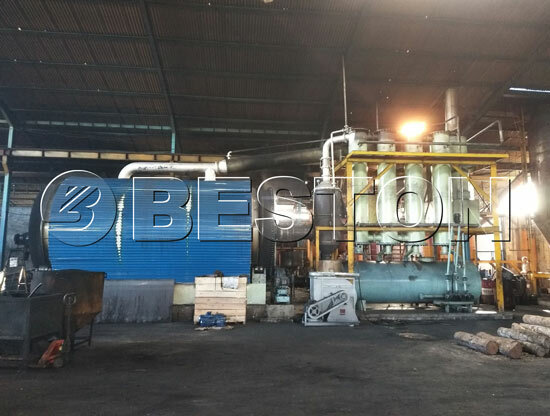 Beston Machinery, as the leading pyrolysis plants manufacturer in China, is capable of manufacturing high-quality plants which are certified by CE, IOS, and SGS, etc. 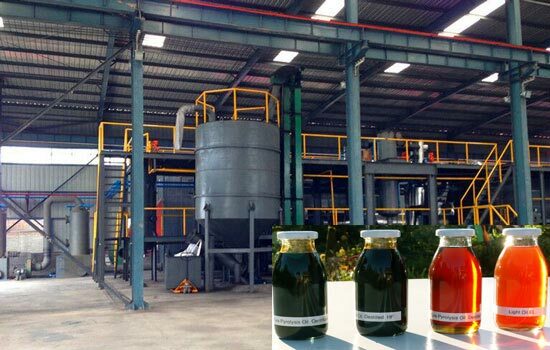 Beston products, especially the waste plastic to oil plants, have been exported to many countries, such as Australia, Hungary, Indonesia, Jordan, South Korea, Brazil, Ukraine, etc. And we also have a branch office in Romania which is mainly responsible for the customers in Europe. Since decades ago, our plants have been highly appreciated by those foreign governments and customers. 1. Automatic screw feeding system with sealing technology: it is one of the domestic invention patents held by Beston. 2. Hot air heating furnace circulating technology saves fuel cost. 3. Heat drying technology with high heat exchange efficiency and capacity. 4. Impeccable electrical control system saves labor cost. 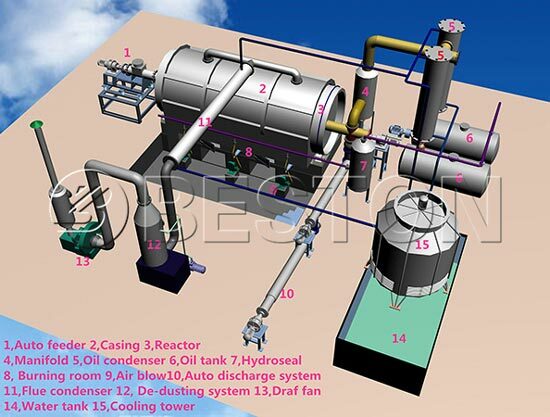 And then pretreated waste plastic will be conveyed to the moving horizontal plastic pyrolysis reactor through the feeder system. As we heat the reactor, pyrolysis process starts. When the interior temperature reaches 160 ℃, oil gas will be generated. Then the oil gas will be cooling down by spray cooling system, it would be liquefied, go into the oil tank. 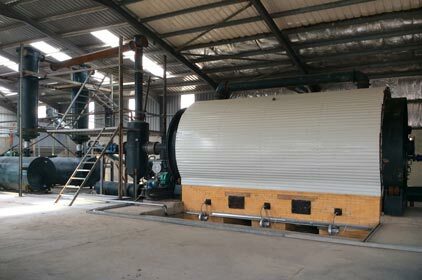 At the same time, some un-condensed gas comes into the hot air circulation heating system by secondary fire retardant damper, it will be recycled for the heating reactor as gas material. The exhaust gas will go to the strong spray de-dusting system for removing pollution, then let environmental gas go to the air. The pyrolysis slag emissions and recycled through the second sealed discharging system. a. small furnace door to make sure a stable and safe working process of the reactor. b.The 100% avoid-burn technology and 100% explosion-proof technology guarantee the safety of the operators. c.thermometer and pressure gage to inspect the temperature and air pressure at any time. 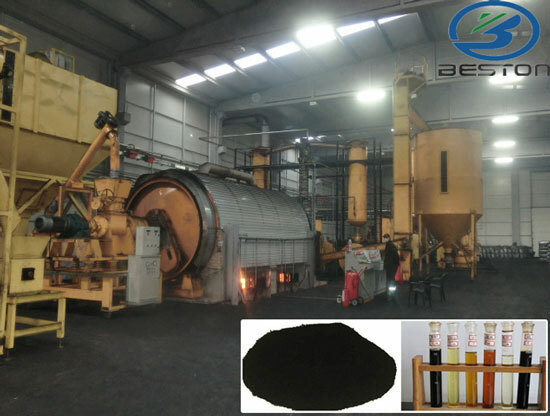 When the whole plastic to fuel oil process is completed, we can get pyrolysis oil and carbon black. 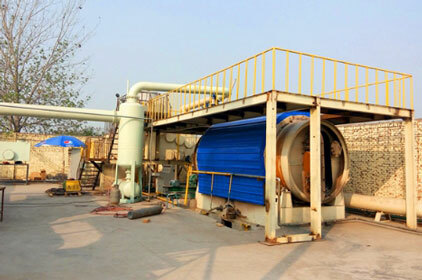 Both of them have a wide range of applications in the different fields, so your investment in the waste plastic to fuel oil plant will finally turn to be worthy. 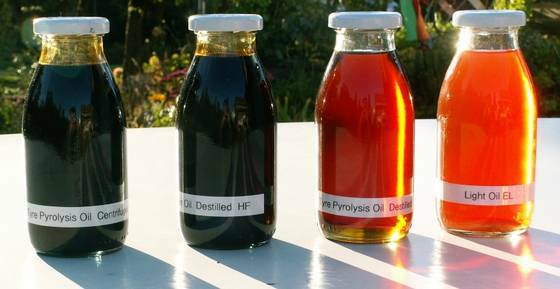 The pyrolysis oil from plastic can be used as fuel oil in industries such as steel and iron and boiler factories, ceramics, power or chemical industries etc. It can also be used for generators to get electricity or can be further refined into high-quality diesel by using the waste oil distillation plant. 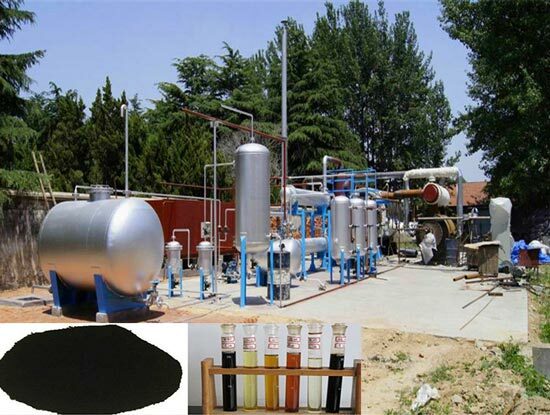 The carbon black can be used as ingredients for building materials, also can be used as fuel. 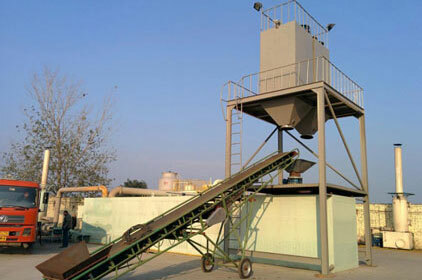 As a typical plastic recycling plant, our waste plastic to fuel oil machine is quite safe for the environment. It poses zero pollution to the surroundings because we use the following systems to make sure the emission progress meet the EU Environmental Protection Emission Standard. 1.High-leveled cooling system and condenser to make sure favorable dedusting effects. 2.The strict filtering system to guarantee a safe and eco-friendly flue gas discharging. 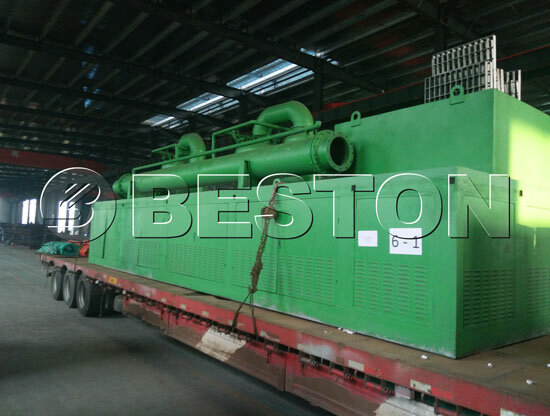 In addition, Beston offers the turn-key project to those customers who don’t have enough time to set up this waste plastic to fuel machine by themselves. 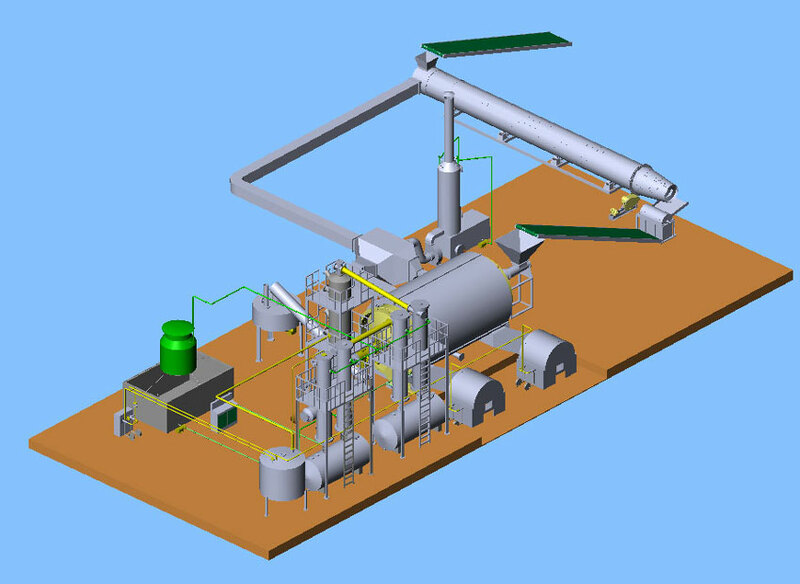 The only thing they need to do is to make a decision, and then our professional sales consultants and engineers will help them to find the most suitable plant and make the project plan and business plan for them. 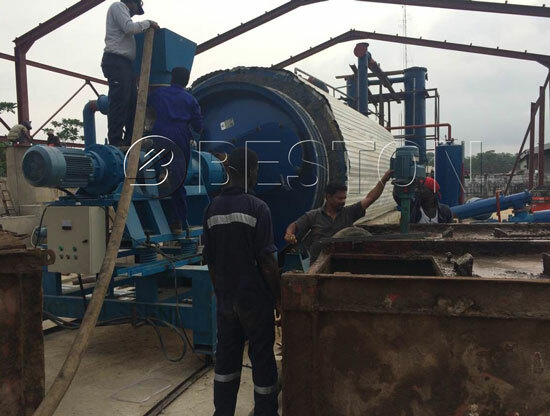 If you don’t need a turn-key project plan, Beston will also provide the best after-sale service to you once you buy our waste plastic to fuel oil plant. We have the quality guarantee for each plant we have sold and our professional sales specialists and engineers will always ready to provide technical support once you have any problems of using this plant.